The Darien Community Association's 2014 Academic Lecture Series on Global Issues, titled "China Changes the Guard," will explore the implications of the recent regime change. The four Thursday lectures will take place Jan. 9, 16, 23 and 30 at 10 a.m. at the DCA, 274 Middlesex Road. An evening lecture will take place Monday, Jan. 27, at 8 p.m., preceded by a reception at 7:30 p.m. The series will begin by looking at the internal leadership and policy changes over the past five years, leading up to the appointment of President Xi Jinping and explore China's impact on the world and its often fragile relationships with both western powers as well as neighbors in the east. Jan. 9, "China in the Age of Ambition: New Leaders, New Challenges," presented by Evan Osnos, China correspondent at The New Yorker magazine, and author of the "Letter from China" blog at newyorker.com. Jan. 16, "China Goes Global," presented by David Shambaugh, a board member of the National Committee on U.S.-China Relations and a director at George Washington University. He also is the author of "China Goes Global." Jan. 23, "The Digital Dragon: China's Role in Cyberspace," presented by Charles Freeman II of Rock Creek Global Advisors LLC, and past assistant U.S. trade representative for China affairs. Jan. 27, "The New Guard's Agenda: U.S.-China Relations," presented by Ken Lieberthal, senior fellow in foreign policy and global economy and development at Brookings Institution and the author of more than 20 books on China. Prior to joining Brookings, Lieberthal was a special assistant to the president for national security affairs and senior director for Asia on the National Security Council. Jan. 30, "China's Maritime Neighbors," presented by Sheila Smith from the Council on Foreign Relations. Tickets for the morning series are $65 for members and $80 for nonmembers. For the evening lecture and reception, $25. Series tickets are available until Jan. 6. 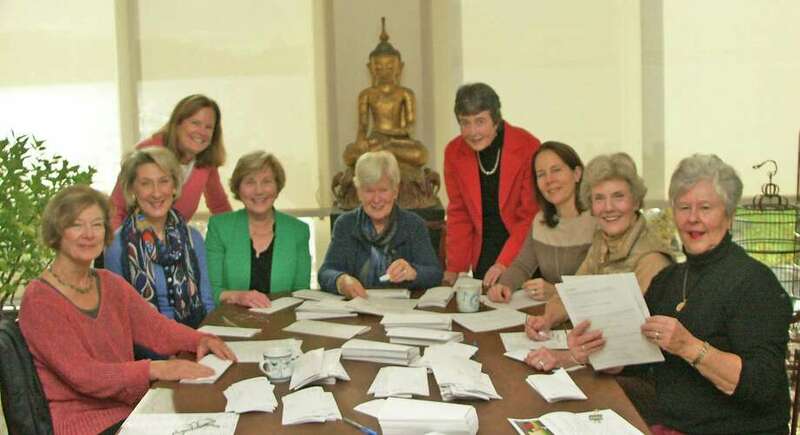 Checks should be made payable to DCA Lectures and mailed to Amy Squyres, 1 Mansfield Place, Darien CT 06820. Enclose a self-addressed stamped envelope; prepaid tickets also can be picked up at the door. For information, visit dariendca.org or call 203-655-9050.